Knowing these Type 2 Diabetes facts can help you understand and manage your disease. 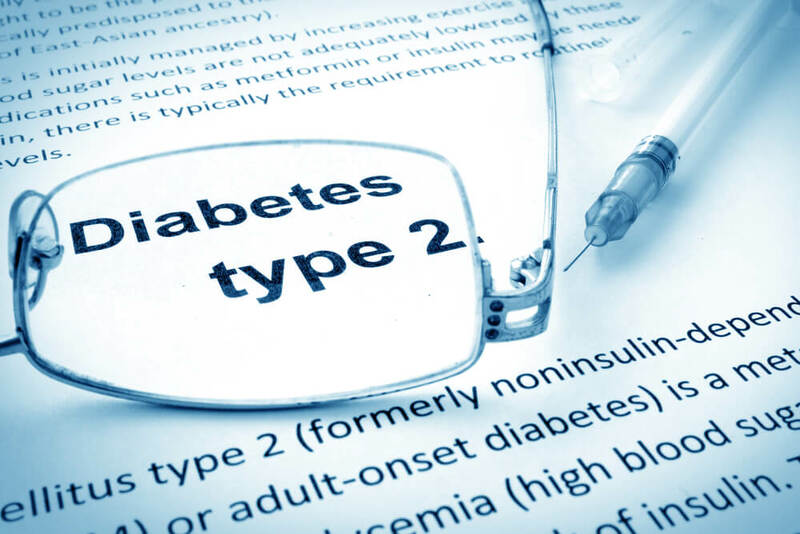 If you have type 2 diabetes, you know how important it is to effectively manage your disease. By knowing diabetes facts and how they can affect your health, you can protect yourself from adverse effects of the disease. According to the CDC, there are about 30 million Americans diagnosed with diabetes, and up to 95 percent of diabetes patients have type 2 diabetes, making it the most common form of the disease. Click here to learn the early signs of Type 2 Diabetes. Specific ethnicities, such as: Asian, Hispanic, American Indian, Pacific Islander and African American. Regular Blood Tests: In order to effectively manage your diabetes, you should test your blood sugar level regularly and also know what your range is. Ask your doctor to assist you in determining the ideal blood sugar range for you. Each person has a blood sugar range that is unique to them, so it is important to find out what yours is. Weight Loss: People who are overweight are much more prone to developing type 2 diabetes. If you are over 50, or are pre-diabetic, it is a good idea to begin a diet regimen to lose weight. By losing the excess weight, you can improve your health and delay or ward off developing type 2 diabetes. Your body will be able to process sugar (glucose) more easily, and use insulin more effectively. Healthy Meal Plan: Creating a healthy meal plan will aid in managing your diabetes more successfully. You should be on a well-balanced diet that incorporates: lean meats, dairy and dairy products like eggs and cheese, whole grains, fruits, vegetables, and extra virgin olive oil. Heart Health: Diabetes facts should also include heart health. High blood sugar levels can cause plaque build-up, and nerve and blood vessel damage. Diabetics are at a higher risk for heart disease than persons who do not have diabetes. The conditions caused by high blood sugar can attribute to the development of heart disease and stroke, which is the leading cause of death among diabetics. Eye Health: A part of your type 2 diabetes prevention should include good eye health. As much as 45 percent of individuals with type 2 diabetes are at risk of developing blood vessel damage in the retina of the eye (retinopathy). Beside diabetic retinopathy, other risks to eye health are glaucoma and cataracts. Oral Health: We would be remiss if we did not mention oral health for type 2 diabetics, which can lead to dry mouth, thrush, and periodontal gum disease. It is vital that you brush your teeth and floss daily, and visit your dentist for check-ups and cleanings. Kidney Health: Type 2 diabetes is also a primary cause of kidney problems and kidney failure. Have your physician test your kidney functions to remain on the safe side. Knowing Type 2 diabetes facts prepares you for what to be aware of regarding your health. Together with your primary physician, diabetes instructor, endocrinologist, dentist, ophthalmologist, and podiatrist, you will be able to oversee and target any problems that may arise. This approach gives you the leverage you need to effectively orchestrate type 2 diabetes prevention.